The Five video: NFL responsibility in Ray Rice matter. Gold: TV Eyes wins first round in Fox News lawsuit. Monday’s numbers: Bill O’Reilly-Kelly-The Five 1-2-3. Cashin’ In tops Saturday daytime. Weekend numbers. Zucker punched: Media Buzz tops Reliable’s Todd exclusive. Greta: I was pressured. Profile: Melissa Harris-Perry. More. Kelly File video: Terror pipeline exclusive part one, part two. 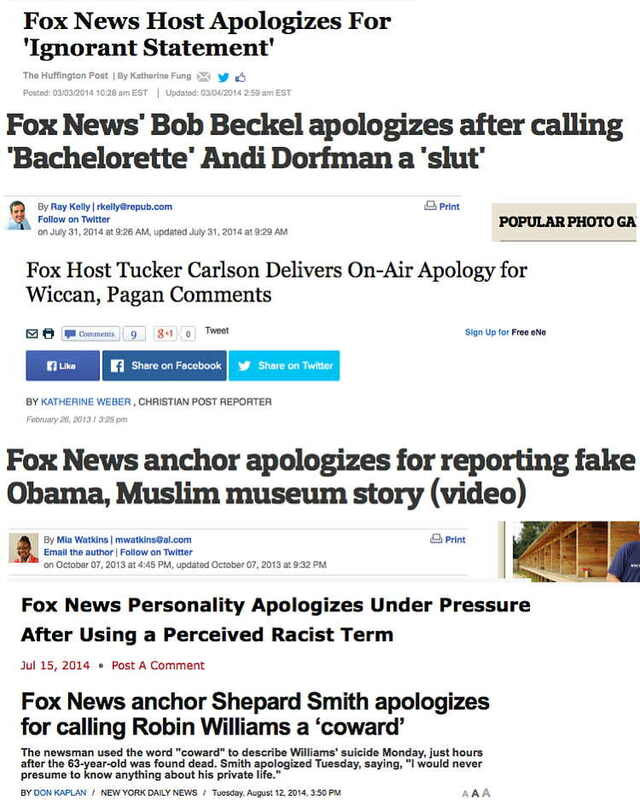 Brian Stelter: Fox News ‘tends not to apologize’?!? Flashback! CNN wants Arwa Damon lawsuit dismissed. Kilmeade comments.